The London FA who run the London district of the Football association, needed a digital platform to support the launch of a new girls football initiative for young girls between the ages of 5 and 11. 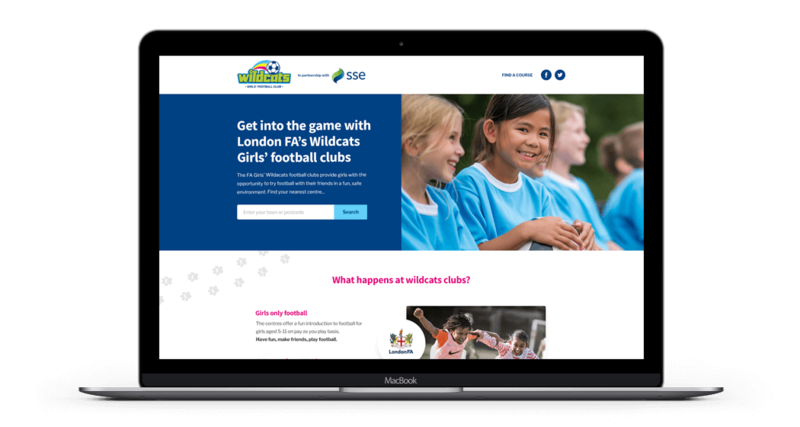 The London FA approached ClubSpark to supply them with an online course creation and booking system to help them run their SSE Wildcats football schools in London. The football clubs offer a fun introduction to football for girls on a pay and play basis. The Wildcats Girls Football Clubs had a very specific setup, requiring sessions to be run at six centres across London for 16 weeks. In addition, football sessions for mums and other family members run alongside the girls’ sessions, making it easy for all to enjoy getting involved in the beautiful game. 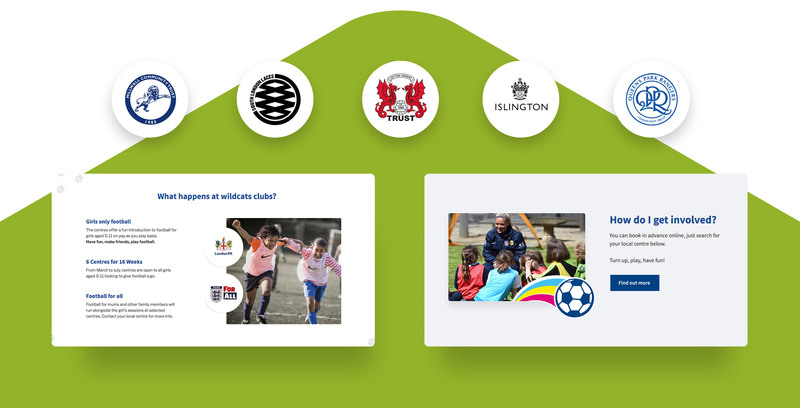 The campaign was piloted in London with sessions run at football clubs including, Queens Park Rangers FC, Charlton FC, Millwall FC and Leyton Orient FC. London FA piloted the scheme in London, with tight timescales for delivery. The comprehensive and flexible nature of our platform meant we were able to provide the venue, coach registrations, course setups and take bookings through custom-styled campaign websites in less than two weeks. Once set up, parents could simply log onto the London FA SSE Wildcats website to search for their local centre, book a session and pay in advance. The Wildcats Girls Football Club courses were live and taking bookings within a few short weeks. The initiative was well received by the press, parents and the young girls enjoying their football sessions. There campaign has successfully encouraged more girls get onto the field. Making it easier for parents to find suitable football courses for their daughters is essential as we look to encourage more girls aged between 5 and 11 into the sport. The ClubSpark platform has provided a quick and easy solution allowing parents to search for courses close to them and come along and try a session on a pay and play basis. It is great to work with a digital company that understands sports and is keen to help to improve grassroots participation using digital innovation.